With Euro 2016 up and running football fever is gripping the nation. You can beat the opposition when you embrace emarkable’s Marketing Automation Playbook. The Marketing Automation manual is a guaranteed winner. As the captain of your company there are some questions you need to ask. 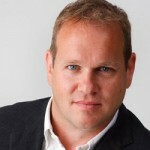 Are you happy with your team’s marketing strike rate? Are they scoring with every effort? Or are they shooting wide with the goal at their mercy? Or are they just happy to tog out and wear the green jersey? To win any game, you’ve got to start with the basics. We’ve drawn up the perfect game plan to help kick-start your marketing efforts. Our ‘2016 Marketing Automation Playbook’ is a step-by-step manual that allows you plan a strategy for growing your business using the latest marketing technology. If you’re looking to capture more leads, convert them to sales and score more revenue then it’s time to embrace all that ‘Marketing Automation’ has to offer. · Track and optimize your marketing ROI. Make no mistake, ‘Marketing Automation’ is the key to staying on your professional game. 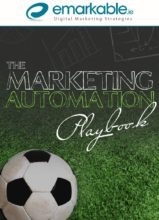 You’ll be on to a winner with our ‘2016 Marketing Automation Playbook’. We’re looking forward to sharing it with you and taking your business to the next level. If you want to find out more about the ‘2016 Marketing Automation Playbook’ Contact us now to learn more about how you can take your business to the next level and leave your opponents trailing in their wake.